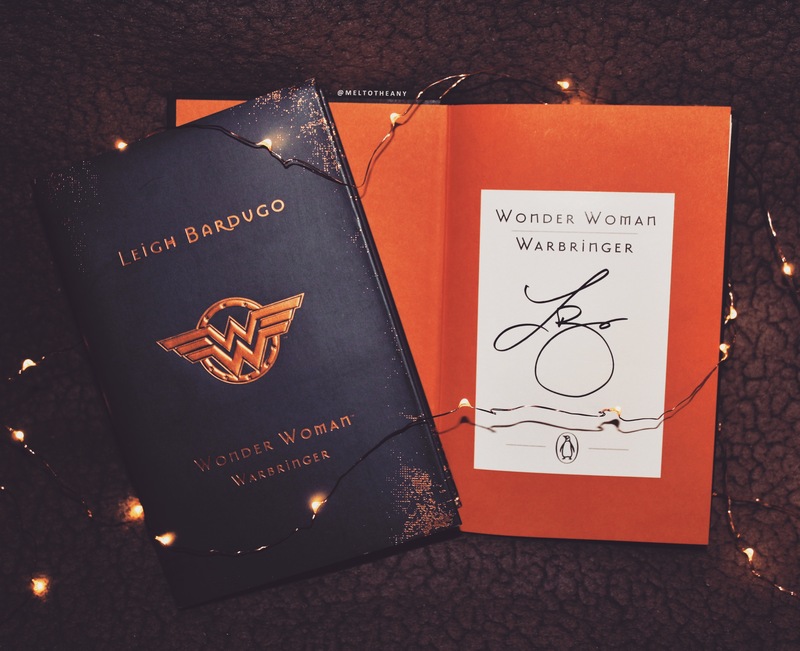 First off, Leigh Bardugo is honestly the queen of writing and I’m not sure what any of us did to deserve her, but I am forever and always going to count her as a blessing. This story is so beautifully written, and I had to tab so many pages with powerful quotes. Leigh also always writes diverse casts that I fall instantly in love with. Like, when do I get a full book about Nim? Because I need that in my life immediately. ➽Diana – White, Wonder Woman herself, obviously a total badass. ➽Alia – Black, a Warbringer, a confirmed angel in my eyes, Jason’s sister. ➽Jason – Black, Alia’s brother, has helped raise Alia since their parent’s death. ➽Nim – Indian, my queer baby, chubby, my sarcastic queen. ➽Theo – Brazilian, Jason’s best friend, funny, must be protected at all costs. So, this book really starts off with a bang *wink*, when a ship explodes near Themyscira, the island where the Amazons live and there is no fear of war or conflict. But on Themyscira, only strong woman, who have proven themselves during their human life, can reside. Well, except Diana, who has been made her from the ground itself by her mother and the queen of the island. Even though Diana’s mother loves her with all her being, a few of the other women are hesitant to accept her, because they feel she hasn’t “proven herself.” And one of the only rules of Themyscira is that no human is ever allowed to step foot on its shores. But Diana witnesses the ship explosion, and finds a lone survivor that she can’t help but rescue and bring back to Themyscira. But the island feels the human’s presence, and starts to attack itself. Diana then seeks out an Oracle who tells her the options she has, and the paths she can take, to save not only her island, but the world itself. We are then swept away on a tale that spans from New York City to Greece, from humans to ancient Gods, about powerful girls, unconditional friendships, and the cruelness of men. But the heart of this story is friendship, and how unconditional love from the people you choose to call family is the most powerful force in the world. And the found family in this makes me weep with happiness. I truly love these characters. There is also a wonderful discussion about privilege that is brought up throughout this entire book. And how no amount of money will ever be able to alter how people will see your skin color and/or perceive your culture, how no amount of money will never erase oppression, and how discrimination happens in every single economic level in our society, regardless of what people who can’t see passed their white privilege say. I loved this constantly being brought up, and some of these experiences that were talked about are exactly what marginalized teens need to read, and see, and understand that they are perfect the way they are, but our world is just an ugly place that hopefully won’t be so ugly with their generation. I will also continue on with the series with Batman by Marie Lu! But, sadly and ultimately, I just don’t think superhero books are for me. I totally enjoyed reading this, but something just kept me from loving it, so I’m going to blame it on that. I still think this is a very worthwhile and important read, and I’m so happy that I finally was able to get around to it! I really liked this book but Diana was a bit too perfect sometimes. I don’t look forward to Marie Lu’s book because I wasn’t a fan of Warcross, but I will read it though! Great review, Melanie! 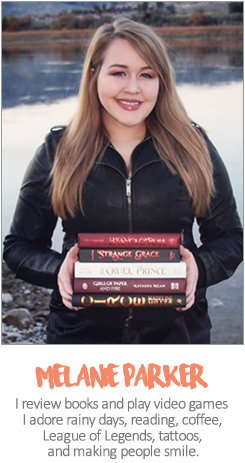 I’m also a huge fan of Leigh Bardugo. I enjoyed this book but I didn’t fall in love with it. So far, I’ve loved all of her books except for this one. I’m sooo confused. Is the book basically the same story of the movie? Ah gosh I love how you described Bardugo- amen to that. Great review! Leigh Bardugo is fantastic. She’s one of my instant-buy authors.